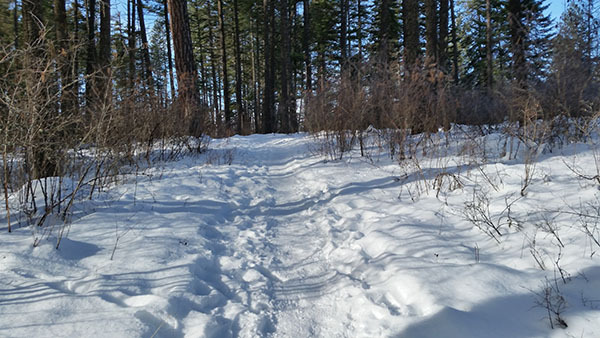 Winter Marathon Training Progress - Chris R.
There is a saying among runners, “Spring PRs are forged in winter.” For many people, it takes a special dose of dedication to continue running throughout the cold, snow, ice-filled months. When I lived in the desert, winter marathon training meant we wouldn’t sweat as much. Here in Northern Idaho, winter marathon training means many layers, below freezing temps, occasional snow storms, and a lot of ice. With my hopes of beating my 2016 Revel Mt Charleston Marathon time in 2017, I have tried to continue training as much as possible. After the early September birth of my daughter though, a regular training schedule has been difficult to maintain. January, at least, has me running at least once a weekend, for the most part. My mileage is still way lower than it needs to be to hit my April 29th goals. However, there is still training time left until the race. I have enough time to really get going, and build up some endurance, and speed. A tool I utilize while undertaking in winter marathon training is my Garmin Forerunner 220, paired with a heart rate monitor. Unfortunately, I forgot my heart rate monitor, and strap in New York, following the marathon. The awesome people I stayed with, via AirBnB were kind enough to ship it out to me! Finishing up January, I was once again able to monitor more of my conditioning. My heart rate monitor was only available for my last run of January, it is a valuable tool to have. My main goal with a heart rate monitor is to monitor effort and conditioning. During tough races, it helps me keep from pushing too hard. As I run the same route, over the course of a training cycle, I can watch my fitness improve. I am anxious for warmer temperatures ahead, and less icy roads. Sub-3:35 marathon, I am coming for you! Be the first to comment on "Winter Marathon Training Progress"